Nicole Cameron, 22, former Castlehead pupil will be starting on Monday 24th August 2015. Nicole competed in this summers ‘The Recruit’ and showed that she would be a valuable asset to the Chamber. Current Management Trainee, Stuart Armstrong, will be moving on from the Chamber after a 1 year spell, making way for Nicole. Nicole has just completed 2 1/2 years at West College Scotland achieving a HNC in Administration and IT and then competed in the recruit. 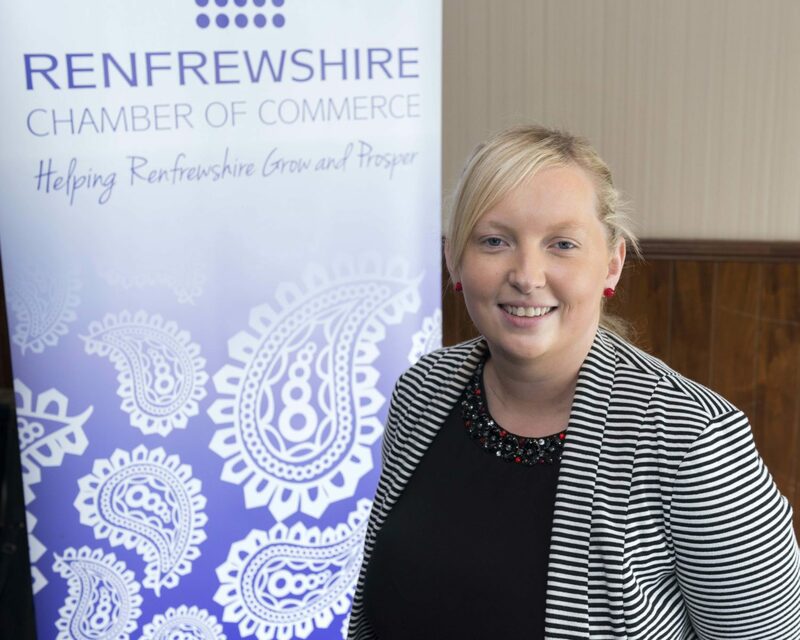 The Recruit is loosely based on the TV show ‘The Apprentice’ and seen young people in Renfrewshire take part in a series of business related challenges with the stand out performers winning job placements. Nicole showed throughout the summer that she would be a valuable member of the team. Nicole will be taking over responsibilities such as managing the business centre, operating the App, Enews and managing and updating the website.